Peter (spiritual name OmaKayuel) teaches, facilitates and activates through the knowing that we are all ONE. He brings wisdom, insight and compassion to revealing the truth. As a multi-dimensional channel, he inspires others to remember who they are as creators, receive their gifts and abilites,and fully connect with their divinity and their higher selves. Peter brings insight and awareness, guidance and understanding, to healing and clearing the illusions and patterns, that block our life force and our being the true light of Source we are. His tools include the ancient and contemporary wisdom and teachings of the Ascended Masters, Pleiadian, Sirian and Andromedan Emissaries and Archangels of Light, the gentle love of Reiki, The Reconnection & Reconnective Healing, meditation, sound, movement and an incredible passion for beauty & oneness. In all that he does, he marries his knowing of the divine with a deep understanding of the human experience: relationally, vibrationally and energetically, gained through 20 Years of performing, creating and living the various facets of live theater. Working directly with your Higher Self, I ask "What needs to be revealed, healed, or cleared in order for this person to learn and grow, raise their frequency, and live at the next level of their consciousness?" Then I do what is guided. From present life to past life to pre-physical existence, and in every imaginable area emotionally, physically, mentally, spiritually, cellularly and genetically. All with the loving support of your Higher Self, Ascended Masters, Archangelic, Angelic, Elohim and Devic realms. • Guidance and assistance from the Ascended Masters and Angelic Realms. • Preparation for the next level of your conscious awakening and mastery. • Clearing contracts and cords, programs and negative belief systems. • Assisting the release of past life and ancestral karma. • Releasing limiting beliefs and thought-forms. • Clearing and healing the subconscious, unconscious and astral body. • Clearing of cellular and genetic patterns and programming, ancestral lines and contracts. • Holographic clearing and reweaving. • Multidimensional clearing and healing. • Hands on healing & activation. 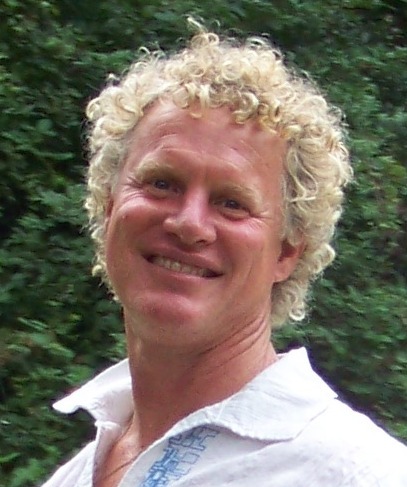 Peter is available for private consults in person (The Netherlands) by phone or Skype. Session duration is 60-90 minutes, and the fee is € 120,00. Amma’trisha and Peter also facilitate consults together.